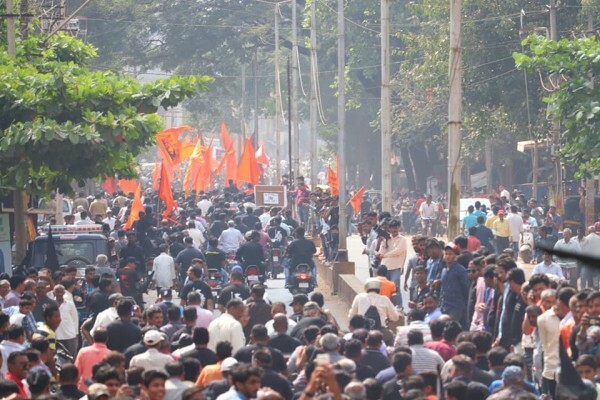 MES and other pro-Maharashtra workers took out a procession on cycle and two wheelers in Shahpur. The MES observes Black Day on Rajyotsava day protesting against the non-inclusion of Belagavi and other places in Maharashtra. The presence of the youth was a notable factor in the rally today. 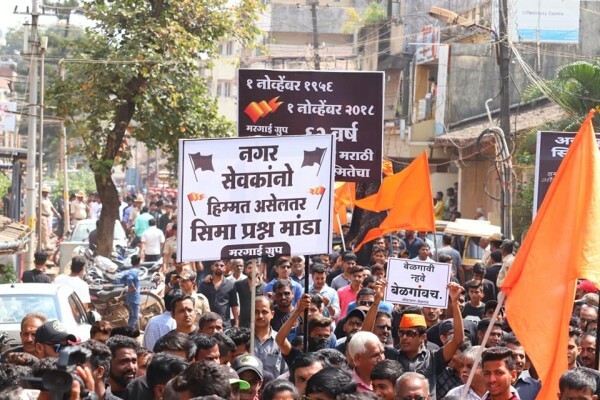 Wearing black ribbons and waving black flags, the activists shouted slogans for the merger of Belgaum and other adjoining areas with Maharashtra. Who gave them permission for rally? This people are like Jammu people. Belgaum is a part of karnataka. All these people and others who are supporting this can go to maharashtra and stay there peacefully. VERY SIMPLE right.This will benefit only for politicians and few media people who are making/made lots of money because of this.but common people(Marathi people) are not understanding this. They are staying in karnataka since many years , and still they are not adjusting here.Unbelievable. ALL WE NEED IS TO PROTEST FOR DEVELOPMENT PURPOSE AND SHED THESE KIND OF PROTESTS which will affect peace of the BELGAVI CITY where all people of different religions , caste,languages are staying in harmony.